With the rapid development of communication, the requirement for the wireless bandwidth is getting higher and higher on the market. 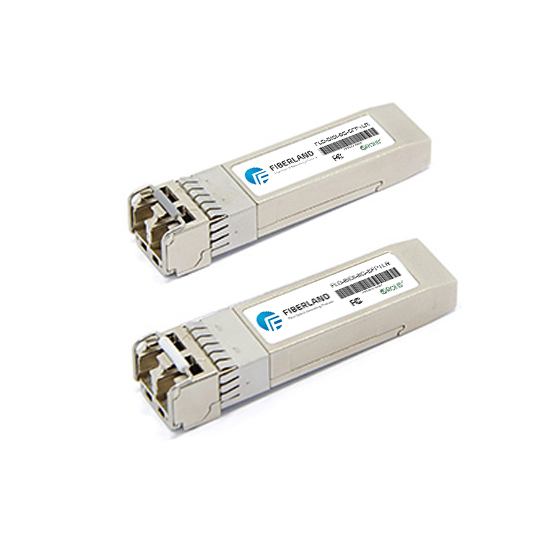 New products are developed by manufacturers of optical communications like BiDi SFP+ transceiver. Today we are sharing the apply of BiDi SFP+ transceiver. BIDI is belong single-fiber bidirectional transceiver, only has 1 port, filtering through the filter in the transceiver, and finish the emission by 1310nm and reception by 1550nm at the same time, or on the contrary. So this kind of module must be used in pairs. Its biggest advantage is to save fiber resources. The common wavelength of BIDI transceiver are TX1310 / RX1550nm; TX1310 /RX 1490nm; TX1550 / RX1490nm. SFP+ transceiver, (10 Gigabit Small Form Factor Pluggable) is a hot pluggable transceiver independent of communication protocol, the usual wavelength are 850nm, 1310nm or 1550nm. Used for 10G bps SONET/SDH, fiber channel, gigabit Ethernet, 10 gigabit Ethernet and other applications, also includes DWDM link. Therefore, BiDi SFP+ transceiver is developed and designed based on the CPRI and OBSAI standard. BiDi SFP+ transceiver uses SFP+ small package, meet SFF- 8431 MSA, SFF-8432 and SFF -8472 and other protocol standards. Supports bidirectional transmission. Also supports different transmission distances, including 10km, 20km and 40 km etc. In addition, its operating temperature range is very wide, can be easily operated from 0℃ to 75℃, becomes the first choice for both indoor and outdoor communication networks, provides high-speed and stable signal transmission channel. BiDi SFP+ transceiver widely uses in the existing wireless communication base station and new wireless communication base station, and set up a high-speed and stable signal transmission bridge between the communication base station and the optical fiber antenna. Fiberland is a company that devoted to the research and design of optical communication products, constantly develop and innovative to meet the market demand. The BiDi SFP+ from us got lots of praise and nice feedback from customers.